The Manitoba Habitat Heritage Corporation (MHHC) has acquired and holds title to approximately 14,000 acres of land in Manitoba. MHHC has obtained ownership by either purchasing or as a gift of land, from a previous landowner. Where the landscape is compatible with Agriculture and the donor has allowed, MHHC has a management strategy of using agricultural practices to maintain and improve habitat for wildlife on these lands. MHHC leases out a total of forty-three properties (5,344 acres) in grazing and forage lease agreements. There are sixteen properties (4,050 acres) leased out for grazing practices and twenty-seven properties (1,294 acres) leased out for forage practices. 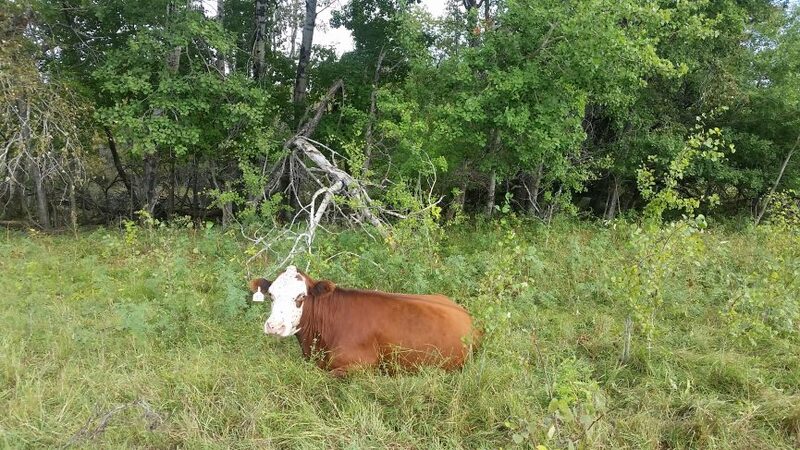 In the summer of 2018, MHHC installed fencing and established grazing systems on 6 properties for a total of 1280 acres. The diversity of management techniques that MHHC has applied in order to manage their land has provided each property with a variety of habitats. In order to have accomplished this, MHHC has completed haying, grazing, prescribed burns, tillage, forage seeding, shrub mowing, as well as wetland restoration. While it may be assumed that in order to protect desirable habitats land needs to sit idle, however, this is not at all the case. MHHC continues to review its land portfolio and look for opportunities to manage the land using agriculture practices. Bird species prefer different nesting cover in terms of structure, height and arrangement. Forage and grazing practices help to diversify the habitat variation available to a wide variety of birds. The variation of the land structure is not only attractive to a variety of bird species, but also to four-legged animals such as white-tailed deer, beaver, weasels, mink, fox, coyotes and hares. As such, MHHC practices techniques that create conditions desirable for wildlife habitat on a majority of their properties. A prime example of their successful management strategies is a section of land MHHC calls the Pryzner Property which is located just east of Shoal Lake. The section of land was purchased from Mr. and Mrs. Jack Pryzner through the Habitat Enhancement Land Program. This was a pilot project of the North American Waterfowl Management Plan to conserve habitat for waterfowl to help increase duck populations in the late 90’s. Almost 25 years ago, MHHC started using agriculture management techniques for the benefit of wildlife on the Pryzner Property which is in the heart of Manitoba’s waterfowl breeding area. With a trained eye, you’re able to find eight or more waterfowl upland species, four to five water nesting species, a variety of songbirds, hawks and owls throughout the section. MHHC’s Conservation Specialist for the property, Roy Bullion, said that the section has a variety of land cover including sloughs, potholes, hayland, wooded areas and native prairie grassland. Local farmers use portions of the property for hay production and to pasture livestock. “There are three paddocks for pasturing cattle on the Pryzner Property. With only 360 acres of grass for grazing, we have been able to effectively maintain a full stocking complement because we rotate the herd through three seasons to different areas,” says Bullion. “We’re pleased with how we’ve been able to successfully manage this section over the years. We fertilize the grass, manage the cover, increase soil organic matter and partner with local producers all while working within the mandate of managing the land for wildlife,” said Bullion.